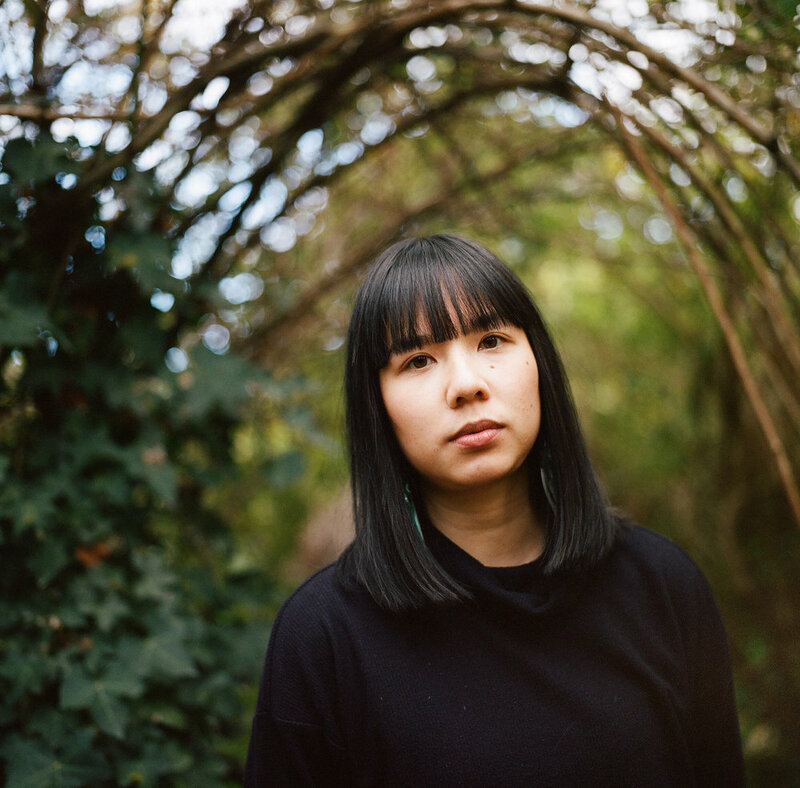 Vivan Vo is a Melbourne-based music publicist and artist manager. With a background in community radio as a music all-rounder and working in various management and publicity companies, in 2015 she hatched Small FRY, specialising in radio and online publicity for local and independent artists. She also manages a nest for Yeo. Yeo talked to Vivan about working in the music industry, fighting for diversity, and the importance of transparency. You're both an artist manager and a publicist, and quite knowledgeable about many other roles in the music industry. Where did you begin and how did you arrive at your current position? At uni, I completed a multimedia/media communications degree. There was a radio production course that I really enjoyed, which led me into volunteering at a youth-broadcasting radio station in Melbourne called SYN 90.7. I volunteered there for five years and held as many roles as possible; I was an announcer, producer, events planner and music assistant. I also volunteered organising events for FreeZa Youth Services and I managed my first band, a friend’s band called 8 Bit Love. My first paid role in the industry was as an assistant at a management company for commercial pop artists, followed by a job as a publicist at a publicity company for local artists and EDM producers. Through these volunteer and paid roles, I gained hands-on experience and built on my love of music and working in the industry. I started Small FRY two years ago. I currently manage Yeo and work PR for various independent Australian artists who in the past include Yeo, SAATSUMA, Kult Kyss, Aeora, Take Your Time and Huntly. I also volunteer at Triple R in the music department. How did you decide to create your own company? Why ‘Small FRY’? After five years of volunteering and three more as a publicist working for someone else, I wanted to use my experience and the relationships built and work with artists whose music I enjoy and I wanted to work for myself. I started off connecting with friends in bands and offered them my services; and got in contact with other independent publicists, media makers, anyone I knew working in the music industry, asking for their advice or just letting them know that Small FRY exists. I named the company Small FRY because of a round-about story, I had a blurring memory of my brother called me Small Fry when we were younger, which turned out to be not true (he used to call me Four Fry). But it’s also an nice ode to me recognising that I’m a small fry in a big industry and I’m okay with that. And I don’t like eating fat chips. For some the job of a publicist is a strangely mythical position. What does your job entail? What is your favourite part of your job? Publicity is somewhat mythical, explaining to my mum what I do was a hard time. Basically, I work for musicians, when they have a single, album or tour ready, I push the single, album or tour to radio and online outlets and tell them why its great and why they should play the song or review the album or go to the tour. It’s a job that a musician themselves can do or an upcoming publicist can easily learn, but they are counting on my contacts and relationships with these contacts. As a manager, I look after all facets of artists’ career. I’m faced with different challenges all the time, and I’m always learning something new and if I wasn’t, I’d be hell bored so management is my favourite part of the job. In the context of media, communication and music business, your practices as a method of survival need to shift rapidly with the times. How do you find yourself adapting to such a fluid landscape? The media landscape is always growing and media makers are constantly changing roles and climbing up the ranks, it’s important for me as a publicist to continually maintain and build relationships. A lot of people in the industry put emphasis on the importance of 'networking' which I don’t necessarily like or even do. If you’re a good person and you’re good at what you do, people will want to work with you. No one likes that one person at the party who is always networking. I'm intrigued by your style of management and the reasoning behind it. What's an example of a proud moment you've had and why did you deserve it? I have a very straightforward way of communicating and a realistic outlook, I don’t believe in being fake or even being overly encouraging, which is a style that’s not for everyone. Some artists want to be told they’re the world and I won’t do that. There are times when things haven’t gone exactly to plan or its completely fallen apart, my response is that we’ll work it out. When I became your full-time manager, there were other managers interested in the job and some people questioned my ability so I’m proud that I stood by my management style and worked hard to prove myself. I've found a communal approach to music to be very valuable to my career. It generates social encouragement and makes my work more meaningful and fun. How have you been influenced by your community and what motivates your contribution toward it? On a wider community level, I’ve seen your Asian audience in Australia has increased in the last couple years and it’s great to see. Like you, growing up, mum wanted me to have a career with stability and security like pharmacy. I think a lot of young Asian-Australians experience similar pressures and it’s inspiring to see Asian-Australians in creative, non-traditional jobs. On a couple occasions, once in Melbourne and once in Sydney, two punters who both happen to be Asian-Australian shook my hand and said I was doing a good job. It’s a small gesture, but is really motivating and encourages me to keep pushing us in our careers in music. I often speak to you openly of the lack of representation attached to Asian-Australians in the sphere of music. How did the topic of diversity first present itself to you, and what are your current thoughts on the issue? Since working with you, I’ve become more aware of the barriers towards Asian-Australian musicians and that we are an underrepresented group in the music industry, and we definitely talk about it all the time. So often, we’re competing against so much music and favour is given elsewhere. I’m always questioning, of these artists who are repeatedly supported, how many of them are people of colour? It’s obvious that we’re not being represented. In festival line-ups, music playlists and artist rosters, we’re still fighting for diversity; people of colour are a token. I’ll play the white devil’s advocate for a moment: Would you consider tokenism as a step in the right direction? Is there a better approach to achieving diversity? Tokenism is a step in a direction but not enough, diversity to not just one box to tick. It needs to be equally represented. To achieve diversity in show or festival line-ups, music playlists and artist rosters, we need to have diversity in industry roles, diversity within the people making the decisions. As a manager, I look after booking supports for my artists’ tours. To be honest, it wasn’t that hard to find a line-up full of female artists and people of colour, who make good music, who are relevant and people I already knew and worked with. As manager who is a person of colour, the community I look to is exactly that, I’ve made an effort to build a diverse community around my work. Let's take a step further into candid territory. What personal challenges have you faced specific to being Asian and female in our industry and how have you dealt with them? As a female in the industry, I’ve been referred to as an ‘assistant’ rather than being acknowledged and respected as a publicist or manager. There are times when people have thought I’m a girlfriend of the band instead of the manager. I deal with by making it known who I am. I find the organiser or the venue manager or whoever, shake their hand and introduce myself. I make it clear I’m the manager before assumptions are made. Not specifically in the music industry, but in general, I’ve been stereotyped for being Asian. I get asked, ‘Where are you from?’ all the time or told ‘I can’t pick where you’re from’. I’ve been confused with other female Asians who work in the music industry or other female Asians who are just in the same room. I used to brush it off but lately now I usually react in two different ways. I’m either extra aggressive or I shut down. Others don’t have a right to make assumptions of me based on what they see and my ethnicity is not some guessing game for them. But sometimes it can get extremely tiring trying to combat this one stranger at a time. In light of the previous two questions, what can we all do to help elicit a positive change in Australian music? I see a lot of Asian-Australians championing other Asian-Australians. Sites like Liminal and The Pin or podcasts like It’s Not A Race are highlighting people of colour in the industry and are trying to create an understanding of the challenges we face. This is great start and people should try to learn and understand. We should continue to support each other with the goal that it will grow to the majority supporting us too. Which POC artists should we be listening to right now? Rainbow Chan, Sampa The Great, Miss Blanks, OKENYO, CORIN, Lonelyspeck, Amber Mark, Yaeji, TOKiMONSTA, Kira Puru. Do you have any advice for emerging managers or publicists? Build your community and surround yourself with good and hard working people whether its artists you want to work with or other managers and publicists. They’ll encourage you to do better and keep you motivated. I have a lot of respect for people who have goals in life and actually go for them. I made a playlist of my fave tracks of 2017 if you want to listen too, which surprise, includes a lot of Australian POC artists. I tend to give in to my body pretty easily. I’ll sleep when I’m tired. I’ll eat when I’m hungry. I’ll binge watch tv when I’m stressed. Being Asian-Australian means I’m just like you, but a little bit different. Photographs by Leah Jing in the Heide Museum of Modern Art gardens.